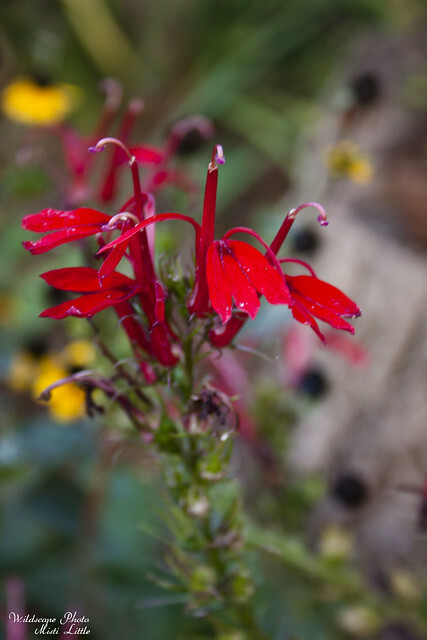 Cardinal flower, Lobelia cardinalis, is a showstopper in the garden. When it sends its flaming red stalk up to bloom, it’s hard to take your eyes off the plant! Ours is a very recent addition to the garden and has had its share of abuse from our feral cats using the stalks to lean up against, which in turn have left the plant leaning on the ground instead of in an upright position. 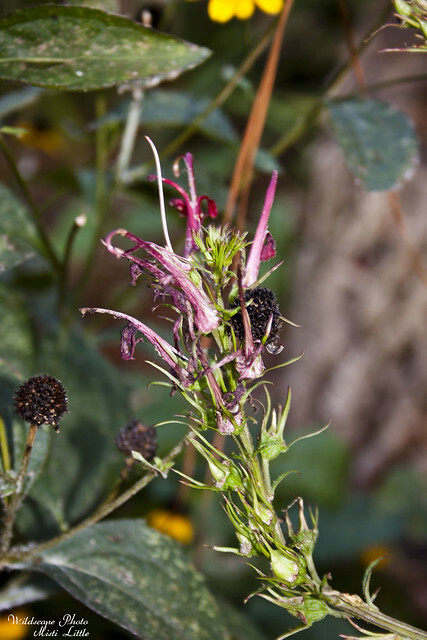 Nonetheless, the plant continued to live and bloom, though now the blooms are fading into seed pods. Typically this plant is found in moist locations, such as stream edges, ponds, or moist bottomlands. It seemed to do just fine in our flower bed with every-other-day watering from our sprinkler system. 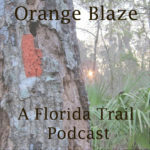 The last photo in the set is actually from a wild plant that we saw along Juniper Springs, a canoe run in Ocala National Forest in Florida back in 2009. There’s nothing like turning a corner and seeing that to shock you out of any kind of relaxed daze on a canoe ride! L. cardinalis is widely distributed across North America and across Texas, making it something you would likely see if in the right habitat requirement. 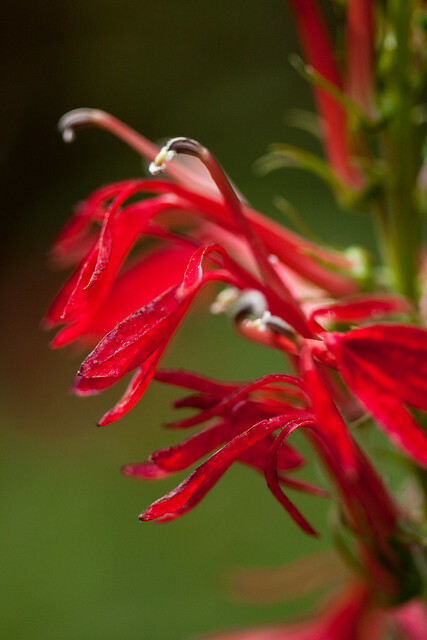 Being that the flowers are so strikingly red, it is given that hummingbirds are drawn to the plant which just adds to its value in your garden. If you’ve got the space, get this plant!